Looking at one of my PR’s on Strava today in regards to my ride in at the start of the week and I noticed some odd sections. It seems that Strava was pushing me down roads that I hadn’t actually been down. I first thought that this was my GPS being silly and placing me in the wrong location. However, I compared the same GPS track in Ride With GPS as it is in Strava. 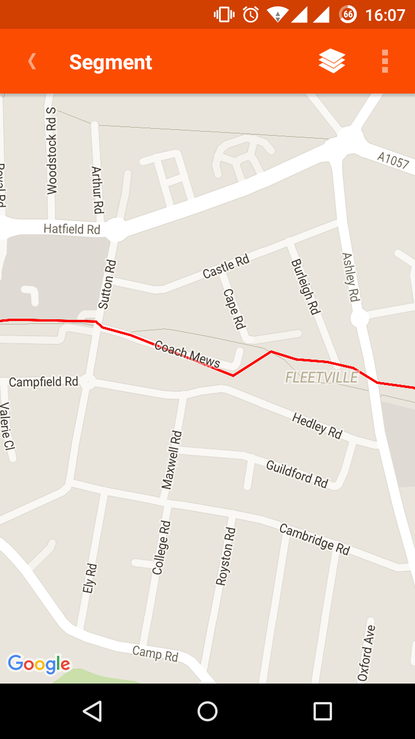 This clearly shows that Strava is sending me off on routes I didn’t actually take! It’s not a case of the GPS confusing my location and being off course, but it seems that Strava is pushing my course off onto where it think I went. I thought I’d seen something like this before - a note on the Strava site saying that they attempted to smooth data, based on the statistics of people traveling that route and averaging the route to get the best fit. I did of bit of digging again and managed to find it - Strava Slide. This basically states that Strava will run your GPS tracks through an algorithm that will “drag” your ridden route to match the Strava global heat map. 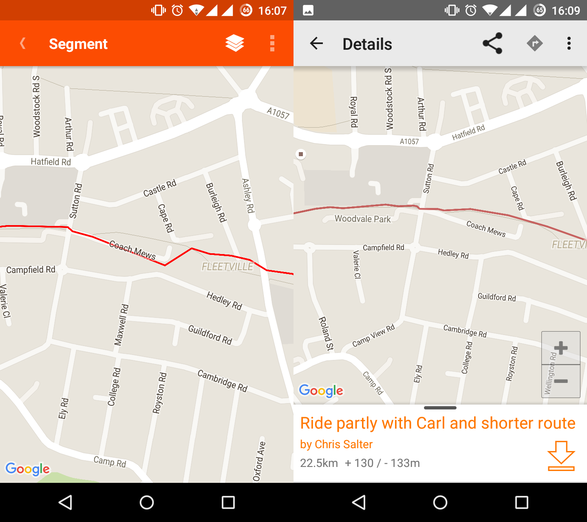 Now, there doesn’t seem to be a section to highlight errors to Strava for reporting in the data or an option to display your raw GPS data. It also begs the question what are people doing on the global heatmap for my route to be pulled off by quite so much? Perhaps the algorithm is getting confused with some routes that are next to my route and perhaps (as the slide tool suggests), my route is getting dragged down into a larger valley (more ridden route). However, it doesn’t seem to be looking at the global heat map so I’m not entirely sure what Strava is doing here - maybe more people ride that route with poor GPS signal and it gets distorted enough to break Strava’s smoothing? I also wonder if it’ll effect the personal records? I’m not to concerned with how I measure up against others, but I always like checking my own efforts against my previous efforts but I’m not that concerned that I’ll see how it effects my PR. At the end of the day, the PR’s are just an amusing thing to get whilst out riding (much like Zombies Run is amusing whilst out running).